Why shouldn't your dog's bed be as comfortable and stylish as your bed? 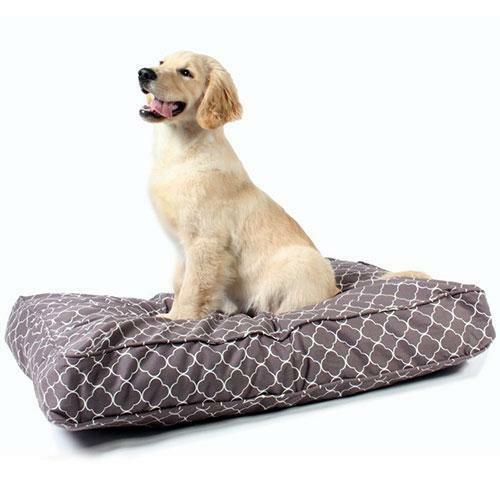 The Molly Clark Gable Duvet For Dogs comes in a neutral grey pattern that will complement other blankets and create covers. The duvet cover is completely gusseted and zippered, which means it stays in place until it is time to take it off to be washed. It is made from 100% cotton canvas. Wash in cold and tumble dry on low. It comes in Small(22"x27x5"), Medium/Large (27"x36"x5"), Huge (36"x45"x4.5"), and Round (36"x 5").